President Museveni with his host Salva Kiir during prayers in Juba. 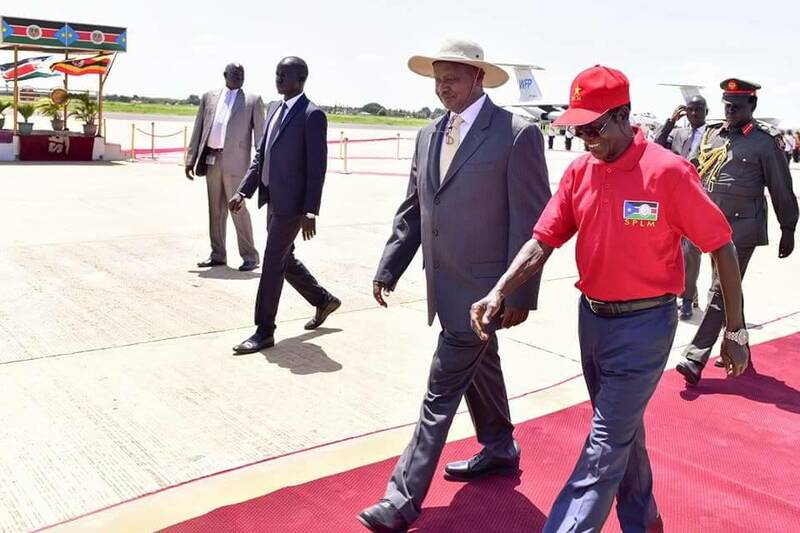 President Yoweri Museveni on Thursday addressed the Sudan People’s Liberation Movement (SPLM) National Liberation Council Meeting at the Freedom Hall in Juba. 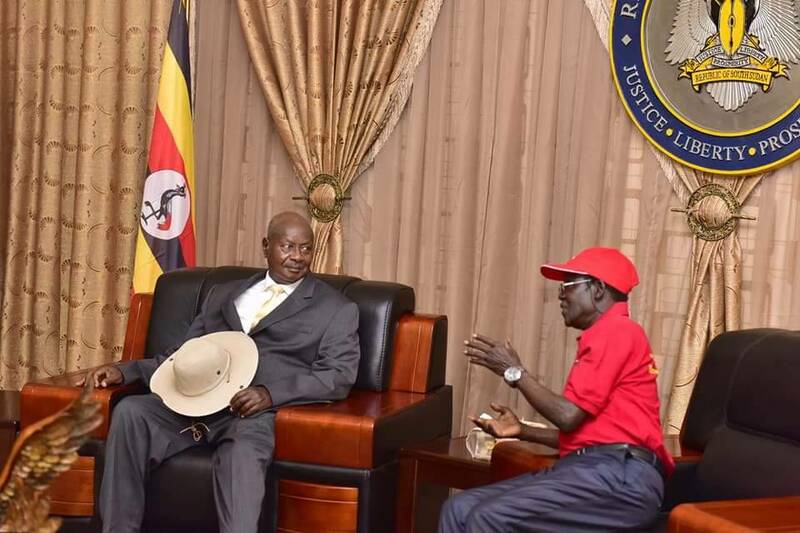 The President was invited as a mediator and also as chairman of the NRM party by SPLM chairman and South Sudan President Salva Kiir. 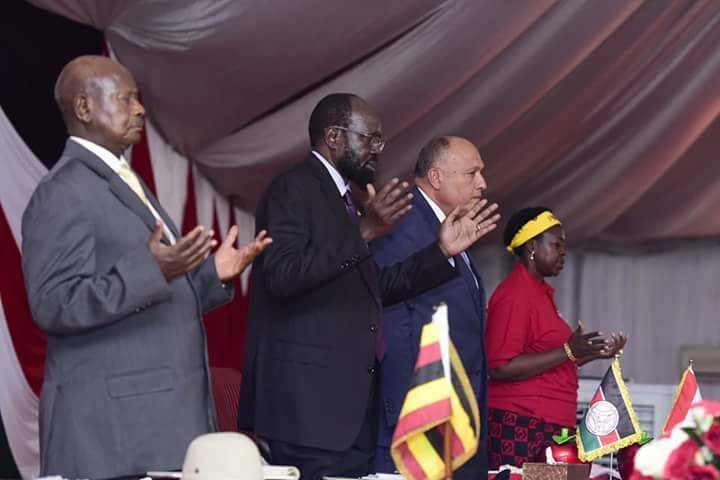 During his address, Mr Museveni appealed to leaders of SPLM to drop violence as a means of conflict resolution. “Force is like surgery. It should be the last resort to removing a tumour. If you use the knife to cut anyhow, you cease to be a surgeon, you become a butcher. The President t is seen off at Juba airport by vice president Iga Wani. Mr Museveni later posted on his social media platforms, reiterated his call for national elections in the world’s youngest nation. “Whatever the political differences South Sudan leaders should embrace dialogue and work towards having national elections. Some people have been coming to Uganda. They say they want to start a war because Salva Kiir is being controlled by some elders. But should that be cause for war?” Mr Museveni wrote on Facebook. “In Africa, parties like the SPLM which are forward-looking must be supported. Unlike the Western world, where society is horizontally stratified, in Africa we are dealing with pre-industrialist societies with vertical interests, Mr Museveni said. Some of these parties like SPLM say although society is vertically separated, the future belongs to nationalism and Pan-Africanism. They have futuristic ideas. “I am grateful that President Salva Kiir invited me to mediate in this conflict. When this crisis came up, some people were saying Uganda is undesirable. It should not come here. But these are our neighbours. When things go wrong, refugees don’t go to Brussels, they come to Uganda,” Mr Museveni said.